After the previous day being sort of disappointing from a sunrise perspective we decided that we would get up for sunrise again. We would go to Lough Talt again and then continue on to Enniscrone but more about that later. When we arrived at Lough Talt, the water was quite choppy. The water was too choppy to show a reflection of the tree we wanted without the use of a tripod and ND filter. There wasn’t any movement in the clouds so the use of a ND filter seemed pointless to me. 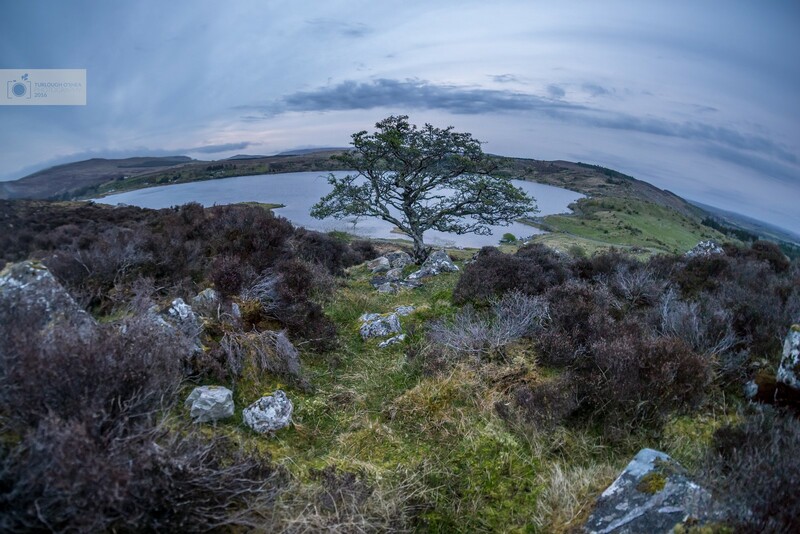 After a minute or two of indecision we decided to hike up the surrounding hills in search of another shot. A fair bit up the hill we decided to stop and attempt to use another tree as the epicentre of our shots for that morning. I took a few shots from different angles and waited for some colour to creep into the sky. Time went by and there was no changes. I began to think that there would be no great colour generated from the sunrise. I guess shooting inland near hills will always be harder for sunrise or sunset than somewhere coastal or flat. Of course, this is not always the case. Below is the pick of my shots from that morning. Unless you’ve been living under a rock for the past week or so you must’ve heard about the plane being brought from Shannon to Eniscrone. David McGowan undertook a massive task. 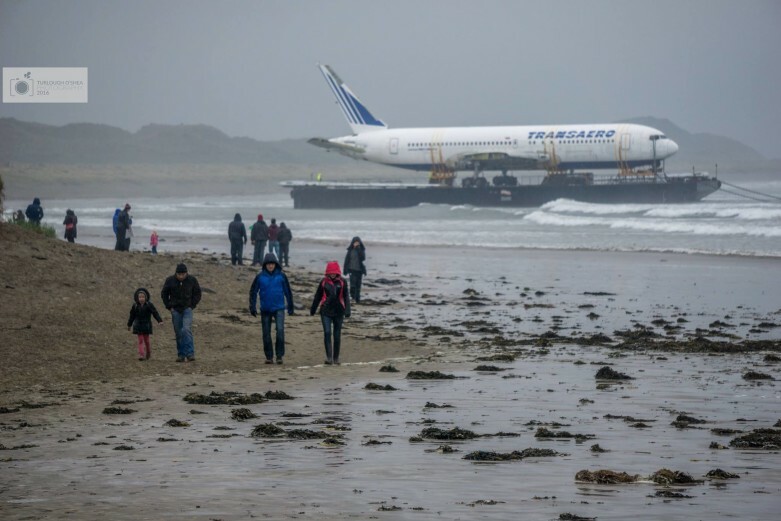 To bring a decommissioned plane to Enniscrone and use it part of his new venture Quirky Nights Glamping Village. #PlaneSailing. Today FM were there reporting throughout the day. Thousands stuck out the long wait and terrible weather to see the attempted coming to shore at 07.00 and again at 19.00. It captured the imagination of a nation and brought whole communities together. Below is an album of some pictures taken on the day.